The RJ45 Modular Jack for Cat6 are designed to work in conjunction with the wall plates and surface boxes or any standard keystone and angled multimedia wall plate or patch panel. Cat 6 Modular Plug can be used with Cat 6 bulk cables, allowing you to easily terminate your Cat 6 cable to the exact length required. 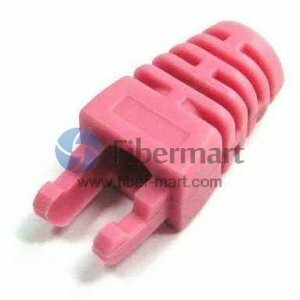 Fiber-Mart supply Cat6 Keystone Jacks and Plugs, RJ45 modular plugs for Cat6 with more than 1000 different parts, and all they meet or exceed industry standard TIA/EIA 568-A requirements. They can offer exceptional performance and reliability for voice, data and high-speed networking applications.